Comments: May be uses in borders, as a specimen or accent, in containers, in foundations, and mass planting. Flowers appear in late winter or early spring and the blue berries, eaten by birds, in summer. 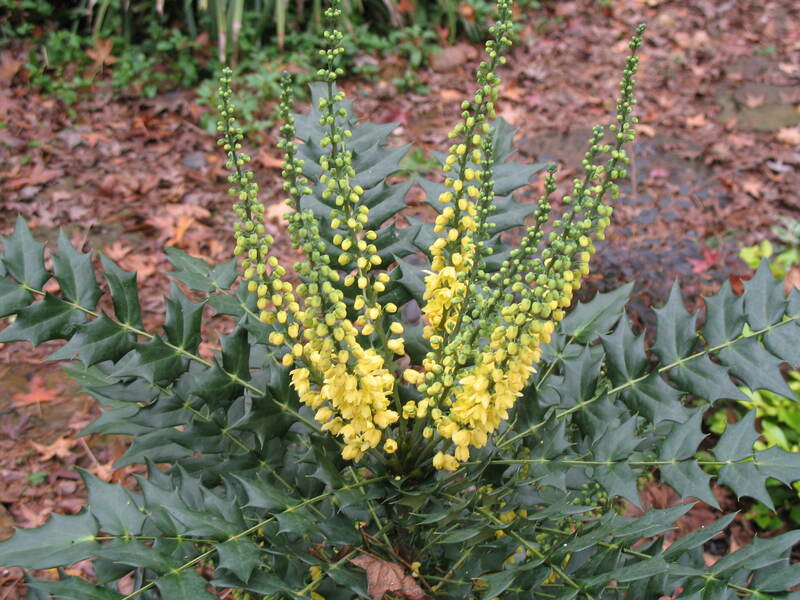 Mahonias are a clump forming species.